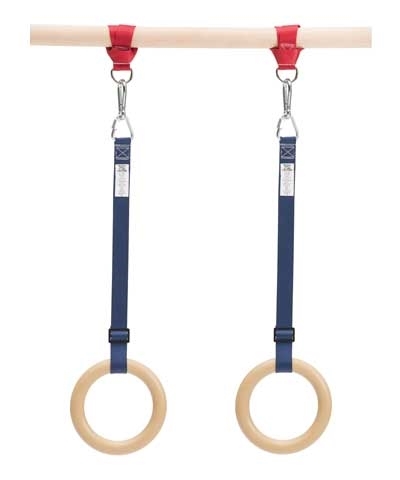 Teach hand, foot and eye coordination while enhancing strength. 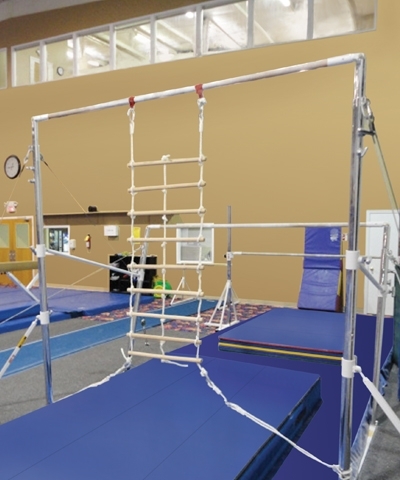 The Preschool Monkey Vines Rope Ladder is designed to hang from gymnastics uneven high bars or horizontal bars with our easy on-easy off bar girth straps. The ladder features 1/2" polypropylene ropes and 1.25" thick wooden rungs. The bottom sides of the rope ladder can be pulled tight with 2 tensioner ropes which prevent the ladder from swaying. The Monkey Vines Rope Ladder requires adult supervision. Never use the Monkey Vines Rope Ladder without a minimum of a 12cm thick gymnastics landing mat underneath. Not for home or outdoor use.